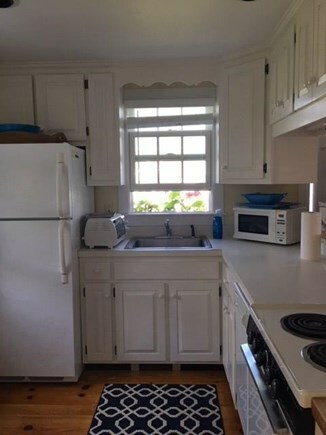 New to the rental market. 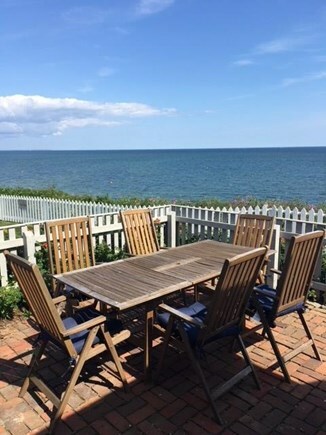 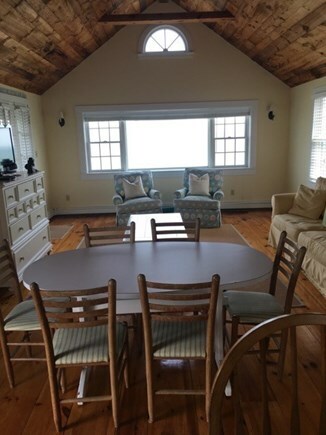 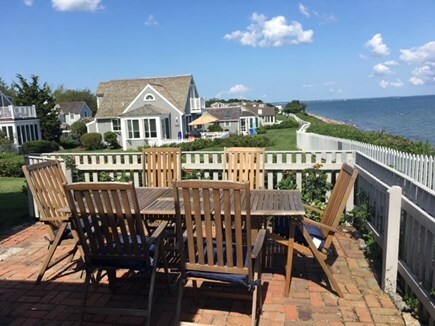 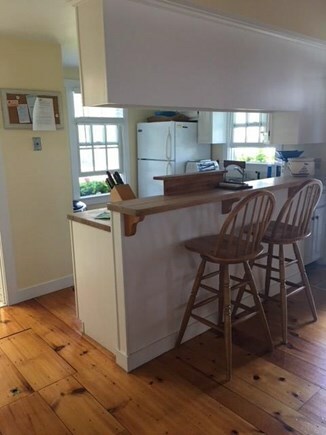 Amazing oceanfront cottage overlooking Nantucket Sound in Maushop Village. 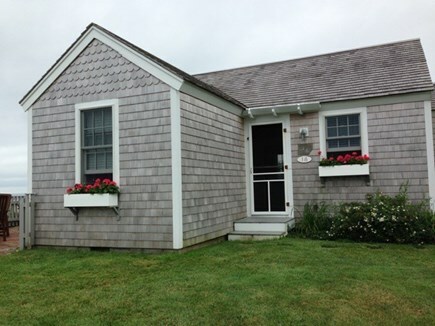 This 2 bedroom, 1 bath with an enclosed outdoor shower is steps from the association's private beach! 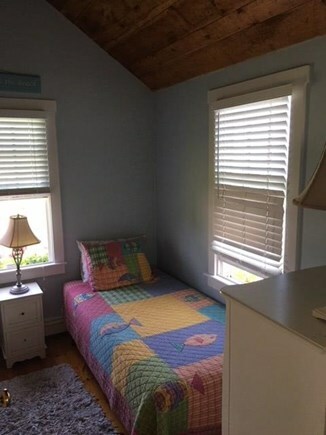 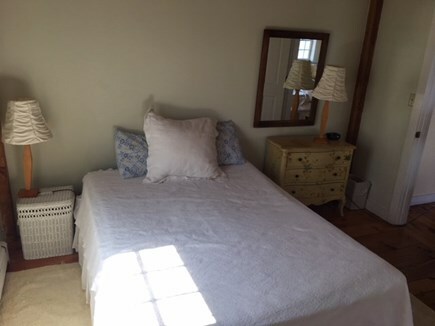 There is a queen bed in the master bedroom with French doors to a patio and ocean views. 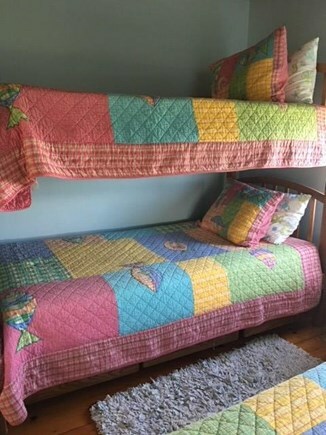 The second bedroom features a set of bunk beds and a twin bed. 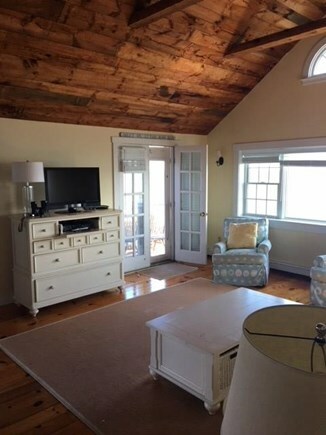 The open floor plan in the living room and dining room features a picture window with views of the Cape Cod shoreline to the left, lights on Nantucket straight ahead, and Martha's Vineyard to the right! 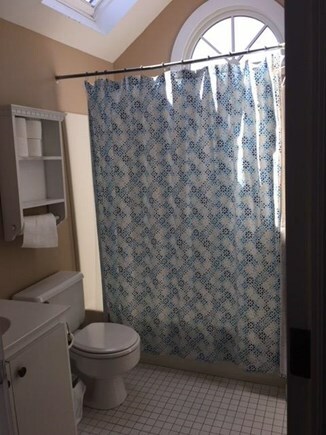 Amenities include a dishwasher, washer/dryer, cable TV, Internet, a BBQ grill, and an outdoor shower.